Kid's Box is a brand new course for young learners. 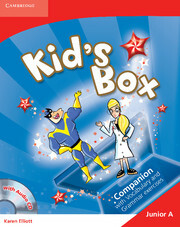 Bursting with bright ideas to inspire both teachers and students, Kid's Box gives children a confident start to learning English. 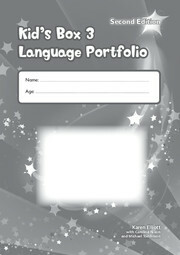 Perfect for general use, it also fully covers the syllabus for the Cambridge Young Learners English (YLE) tests. The Companion helps children to reinforce their learning and understanding of the new words and grammar they have learned in the Junior A Pupil's Book and Activity Book. It provides specific Greek grammar explanations and translations, bilingual wordlists and a language portfolio.